Sculptor Jim Agius is from Paonia, Colorado and he’s on this week’s episode of Beyond the Gallery. Jim strives to give his sculptures integrity and to breathe life into them. Born in New York and educated in Missouri, Jim Agius has been an artist all his life. After earning a Bronze Star for service in Vietnam, Agius moved in 1970 to a small mountain town in Colorado, where he established and operated a number of small businesses from restaurants to real estate. He painted during his free time, putting into practice the principles he had absorbed during many hours of visiting galleries and museums, and drawing wildlife and other subjects of interest. While visiting friends who operated a small foundry in Gunnison, Agius picked up some clay, began working with it and quickly realized his affinity for three-dimensional work. In 1989 he won the Romcyn Atelier scholarship for a year of study with sculptor Tom Schomberg. 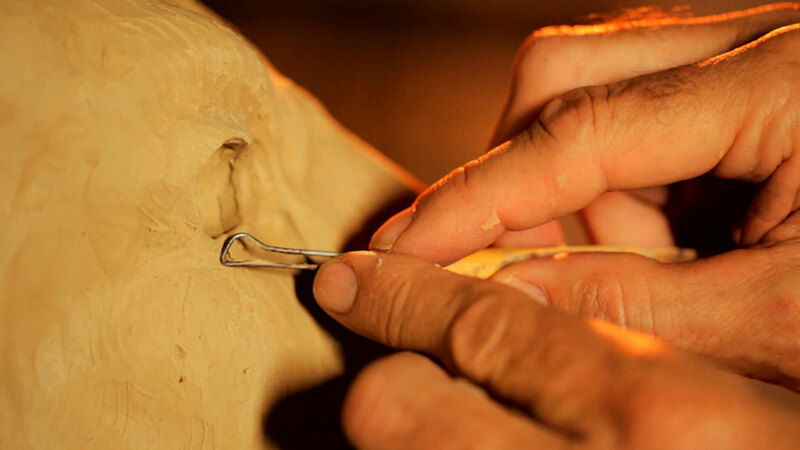 The confidence and knowledge he gained in that year led him to sell a couple of his investments and give the next two years to full-time sculpting. The two years turned into fifteen years of phenomenal success in the competitive word of wildlife sculpture. Today his animal sculptures are featured in public and private collections from the Ritz-Carlton Hotel in Aspen and the Gilcrease Museum in Tulsa to displays in Australia, Saudi Arabia, Canada, and Liechtenstein. Jim Agius’ artistic skill has earned him the respect of his peers, of critics, and of an adoring collector base around the world. Jim’s respect for the importance, nobility, and inherent dignity of the animals he sculpts is vividly and beautifully apparent in everything he does, whatever the scale, subject, or mood. This episode of Beyond the Gallery is brought to you by Ventana Fine Art in Santa Fe, New Mexico. Ventana showcases the best in contemporary American painting and sculpture. Learn more about Jim Agius and see more of his work at www.ventanafineart.com.